From golfing to fishing expeditions in the Monterey Bay area, Main Event Transportation provides a wide range of leisure car services in Central California. Whether you’re on vacation from out of country, out of state, San Francisco, San Jose or a local, and need a ride from your hotel or home Main Event Transportation can provide the luxurious, private car services that you are looking for. Our leisure transportation options in Monterey include Mercedes sedans, Cadillac Escalades, Mercedes limousines, passenger vans, and executive coaches. Whether you’re headed to Pebble Beach or Fisherman’s Wharf in Monterey, we have the best group transportation options available. If you’re headed out to the Monterey Bay then you probably already know about all the PGA tour level golf courses in the area including the famous Pebble Beach Golf Links. Main Event Transportation can provide luxurious and convenient group transportation for golf outings in the Monterey Bay area. Book a Mercedes, Escalade, or executive coach for your next group car service to golf courses in Monterey. Popular golf courses include Pebble Beach Golf Links, Poppy Hills Golf Course, Del Monte Golf Course, Pacific Grove Golf Links, Carmel Valley Ranch, Quail Lodge Golf Club and Spyglass Hill Golf Course. If you’re planning a fishing trip in Monterey, start it with luxurious Main Event limousine, sedan, or executive shuttle. Deep-sea fishing out of Monterey’s Fisherman’s Wharf has become one of the most popular charter trips in Monterey. Charter boats for groups or individuals are available in Monterey, and Main Event Transportation can provide a ride for your group or party. Besides deep-sea fishing, Whale Watching also remains a popular cruise around Monterey Bay. Main Event has the transportation to start any boat trip in Monterey! Wine Tours are always a fun way to spend a day in the Monterey Bay area. Main Event Transportation can provide luxury sedans, SUVs, limousines, passenger vans, and executive coaches for your next wine tour. Popular wine tasting tours include Holman Ranch Vineyards and Winery in Carmel, Paraiso Vineyards in Soledad, and Jarman Wine in Carmel Valley. Main Event Transportation offers car and coach services for annual events in Monterey throughout the year. 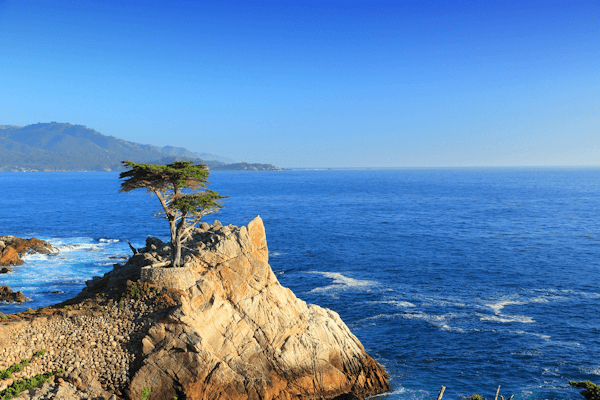 Yearly events in Monterey include the AT&T Pebble Beach Pro-Am, Big Sur International Marathon, and Monterey Auto Week as well as several music festivals and food events. We also provide holiday car services for office parties and more. Find out more about the yearly events in Monterey! Headed to the shops. Let us do the driving! Shopping transportation includes Cannery Row, Gilroy Premium Outlets, Del Monte Shopping Center, and Northridge Mall. Main Event is the convenient way you can get you to the shops on your schedule and in style.